If you are being threatened with foreclosure you may think there is nothing you can do to stop the process. Not so. BCN Law Firm Foreclosure Attorneys can do more than you think. We have been helping homeowners to stop foreclosures, and banks to accept loan modifications, so more families can stay in their homes. Once you begin to fall behind in your mortgage, the best thing to do is to contact a BCN Foreclosure Attorney as early in the process as possible. That way, we can work together to look at all your options and to create a foreclosure defense plan which lays out your best alternatives. Just because you receive a letter that your bank or mortgage company has started foreclosure proceedings, doesn’t mean it’s too late to head off foreclosure. Notify us immediately, and we can help you respond in a timely manner. It is critical that everything be done correctly, and in writing. Phone calls will not be considered a valid response. Foreclosures can be long, drawn-out processes which do not move quickly. Often, the foreclosure process moves even slower if you have an attorney defending you. BCN Law Firm has offices serving The Villages® community, Lady Lake, Summerfield, Oxford, all of Sumter, Lake and Marion Counties and surrounding areas. 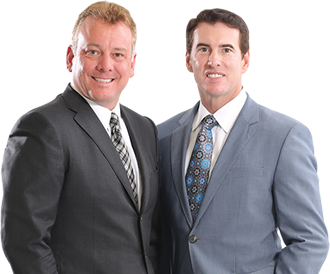 Contact our experienced foreclosure attorneys for a free consultation* to discuss your case.